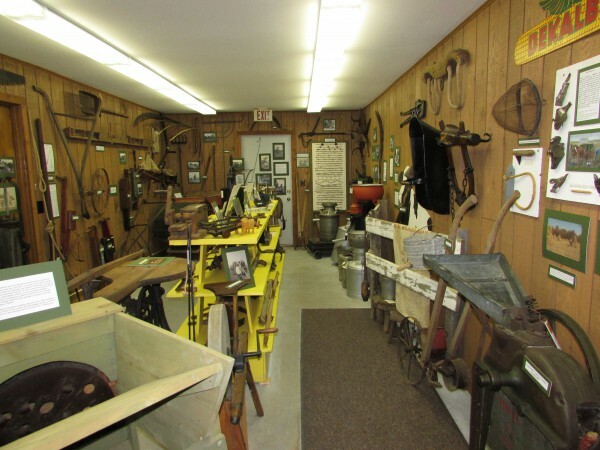 McFarland has a very active Historical Society, and now owns two museums dedicated the history of the village. 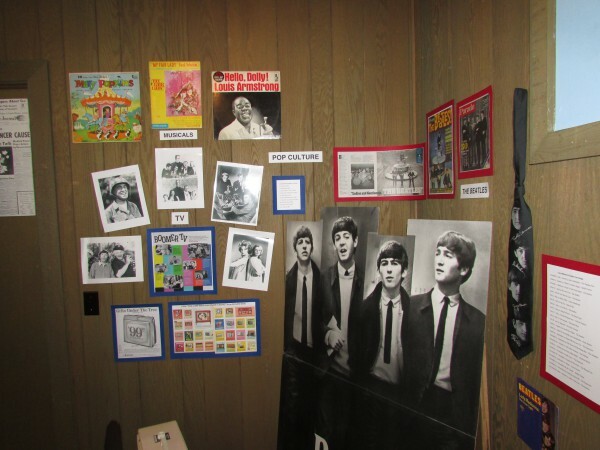 The newest one, the Larson House, we visited on July 13 of 2014. This is the older one. 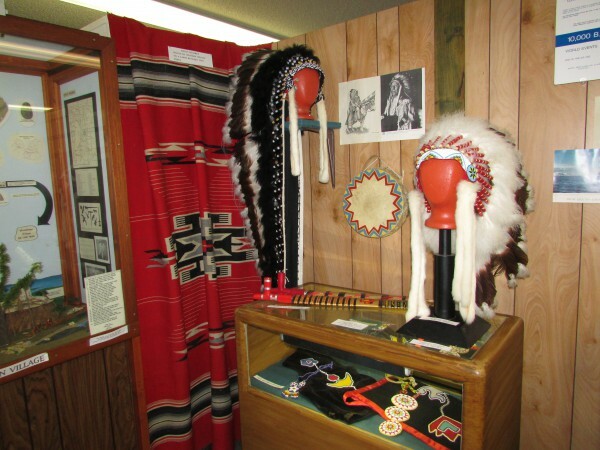 The McFarland State Bank donated the lot that the museum was built on in 1971. 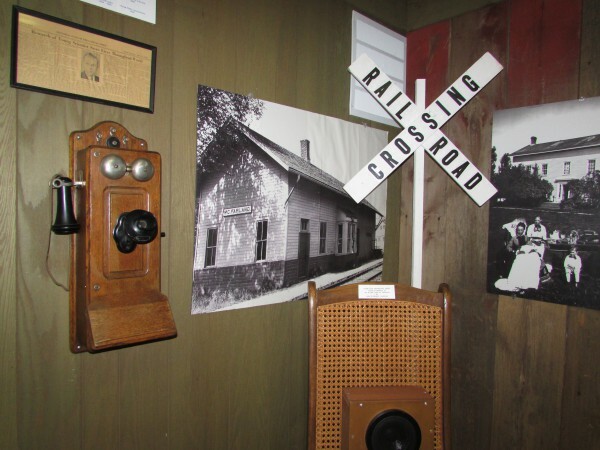 It is located on 5814 Main Street, not far from the Larson House. 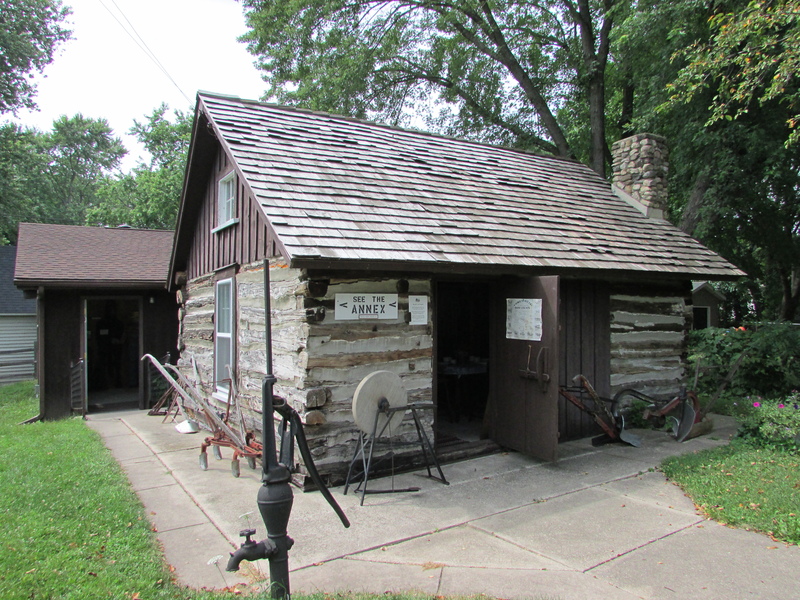 Hours are Sundays from 1-4 PM, Memorial Day through September and by appointment. 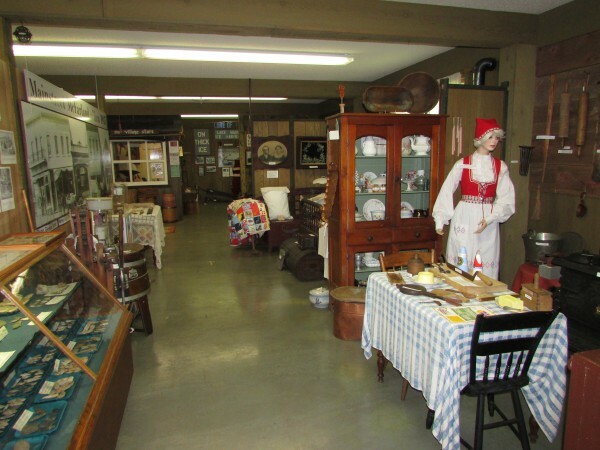 The museum hosts two events, the Memorial Day Bake Sale and Pioneer Days in the 3rd Sunday in September. This is the main museum building which we toured first. 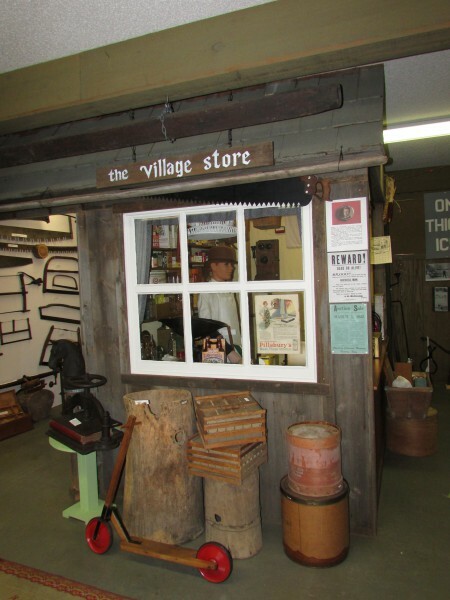 Exhibits consist of items donated by past and current residents of the village. 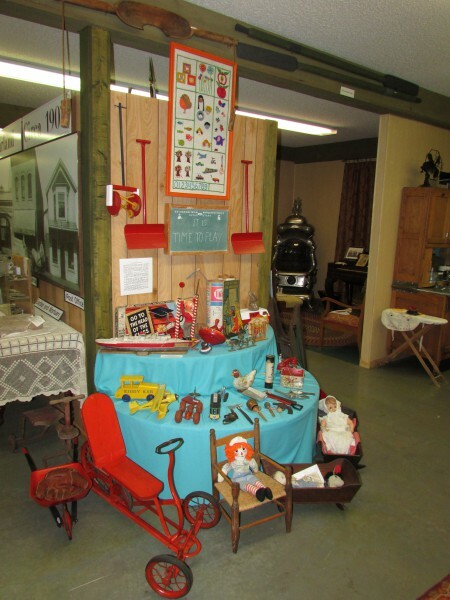 The first displays you see are from 1964, when the McFarland Historic Society was granted it’s charter to aid in the development of the museum. 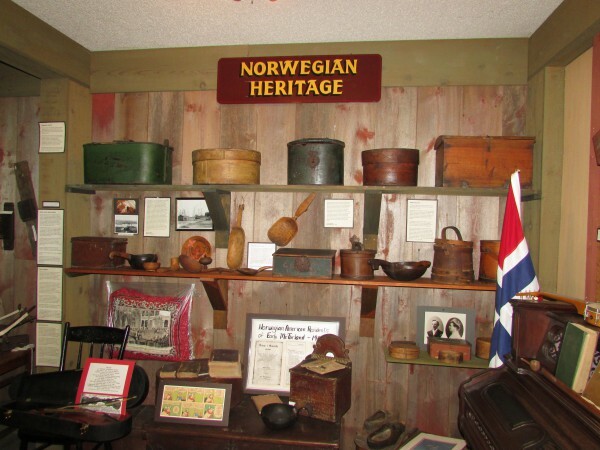 Many of the early residents of McFarland came from Norway, and many artifacts reflect that. The Norwegian instrument Psalmodikon was also on display, a simple string instrument. 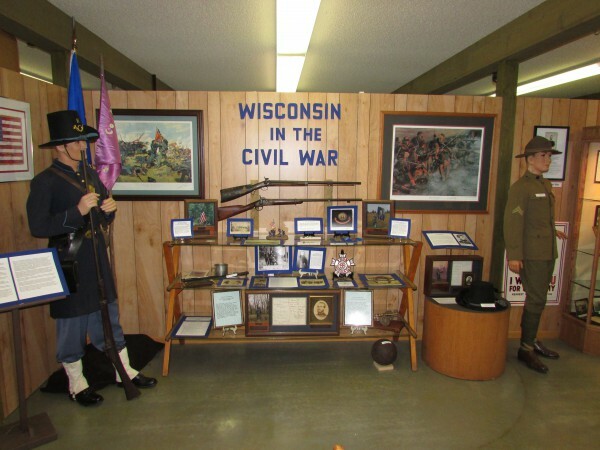 Also a display of McFarland residents’ service in the Armed Forces. 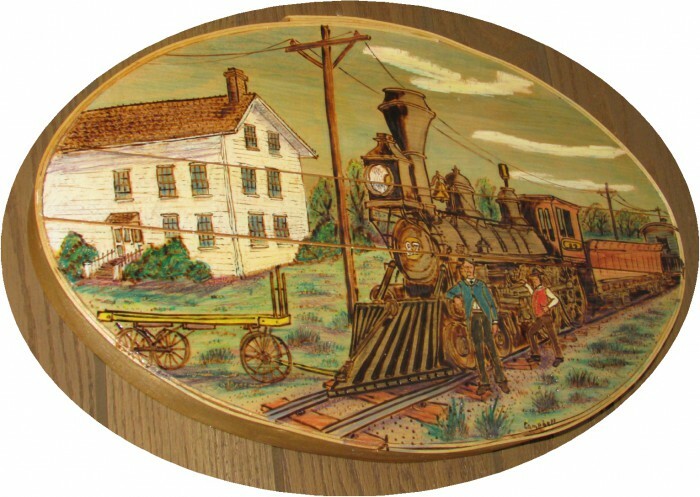 The railroad was how McFarland came to be, the track is still active even now, though just for freight trains. 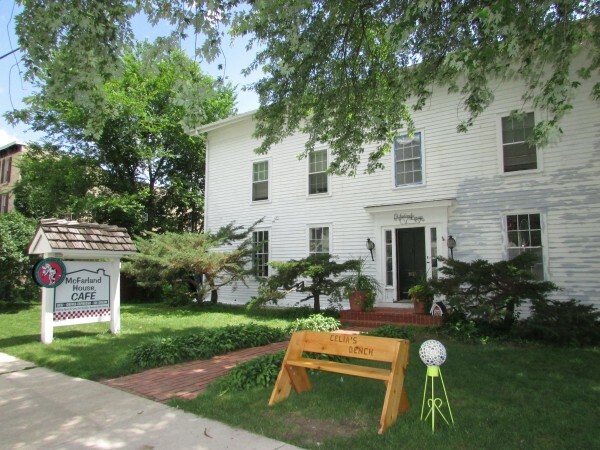 It goes right by the McFarland House, former home of William McFarland, founder of the village. 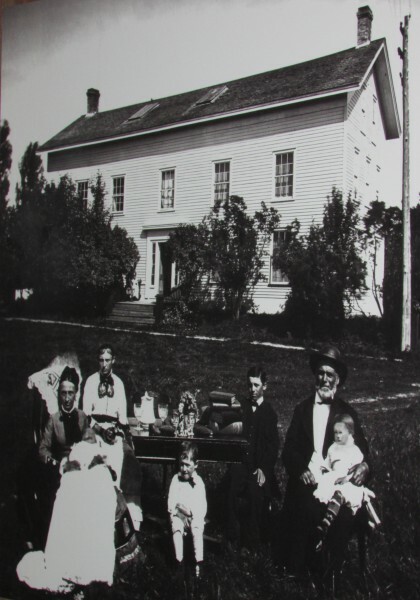 Here is a family photo taken outside of the house of William McFarland and his family. 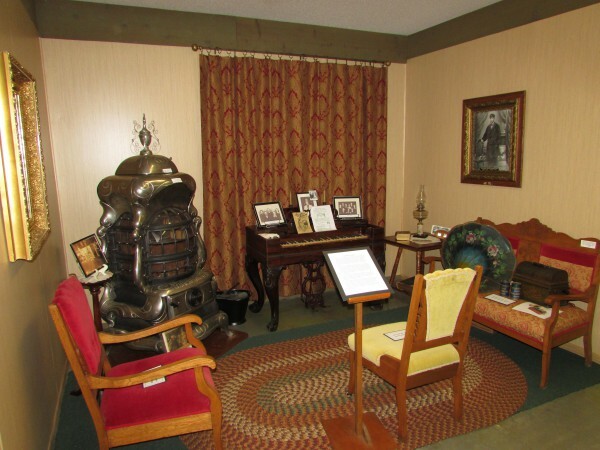 We also saw a display of what a parlor might look like. 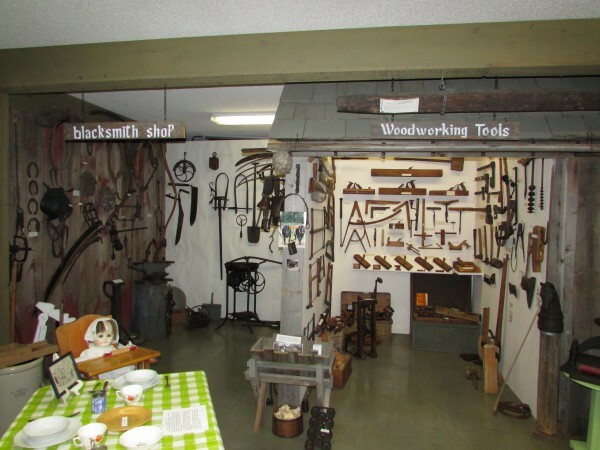 Just beyond the kitchen is a Blacksmith Shop and woodworker tool display. Don’t forget a toy for the kids! 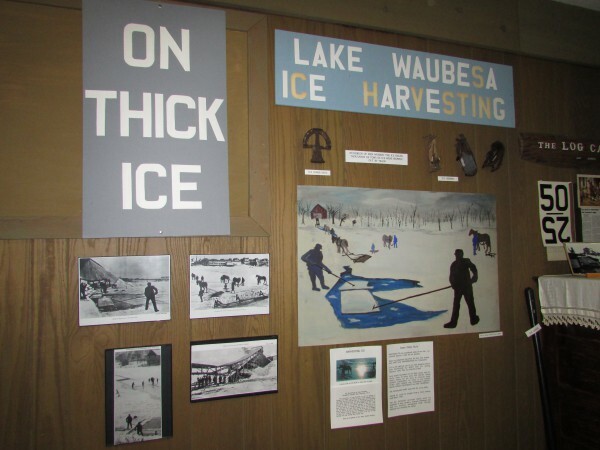 During the winter, McFarland residents harvested ice off of Lake Waubesa and some loaded onto the train to be used elsewhere. In the summer, recreation on the lake abounded. Lots of boating, swimming, and fishing. Some people had cabins on the lake they might live elsewhere during the rest of the year. 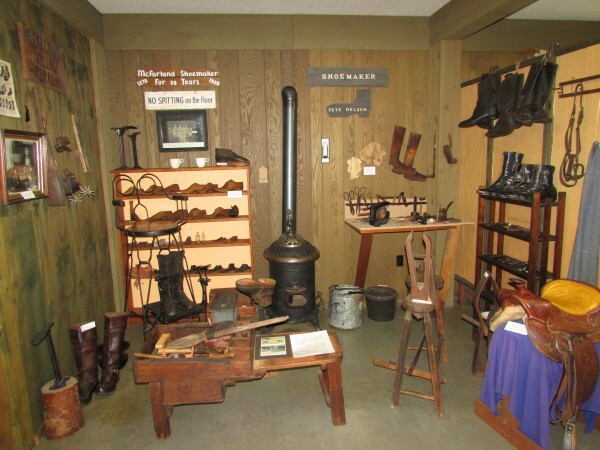 Shoemaker Shop exhibit. Shoes were custom-made for everyone a long time ago. 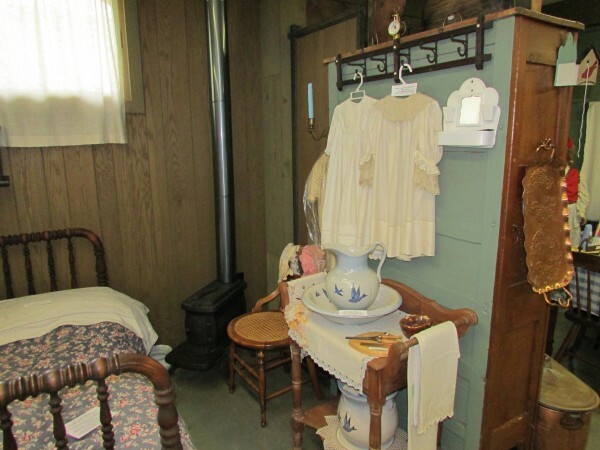 Displays of a typical bedroom in the 1800’s. 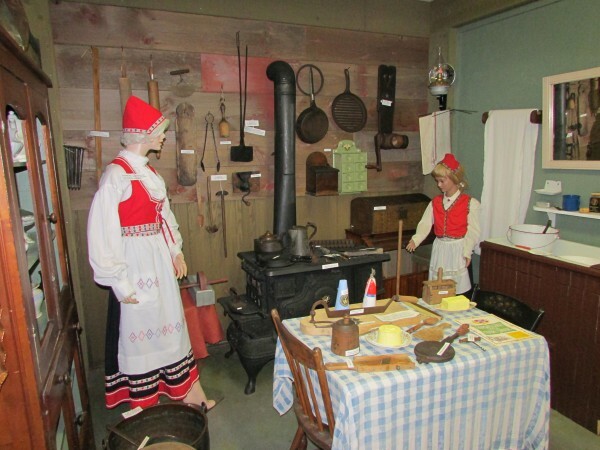 And a Norwegian-style kitchen with native equipment. That takes us through the first building of our tour, there are two others behind this one. 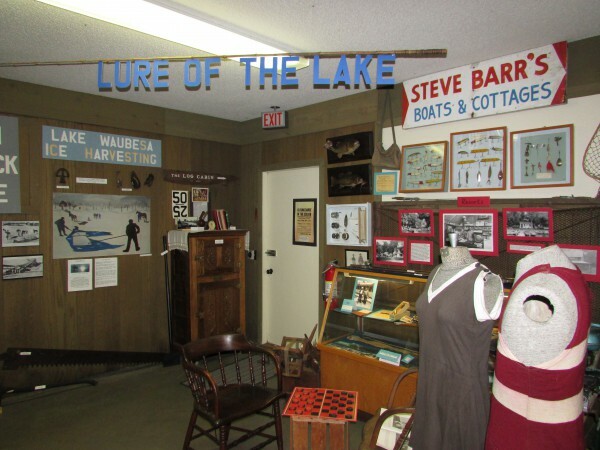 Our next exhibit, the historic Skare Cabin. 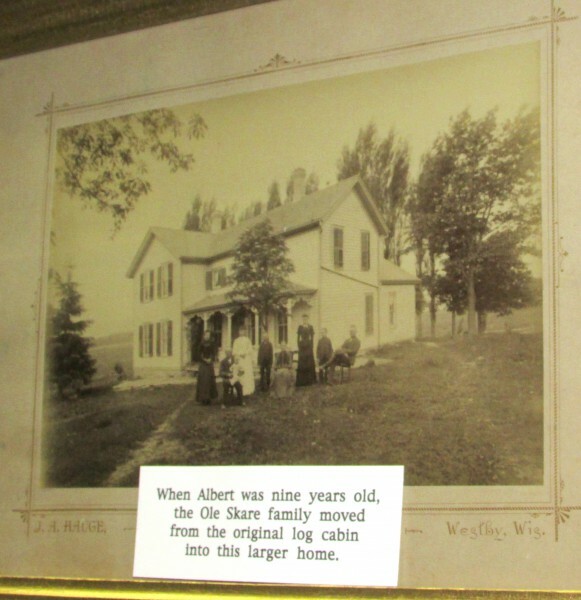 It was originally located at Hidden Valley Farm off Elvehjem Road. 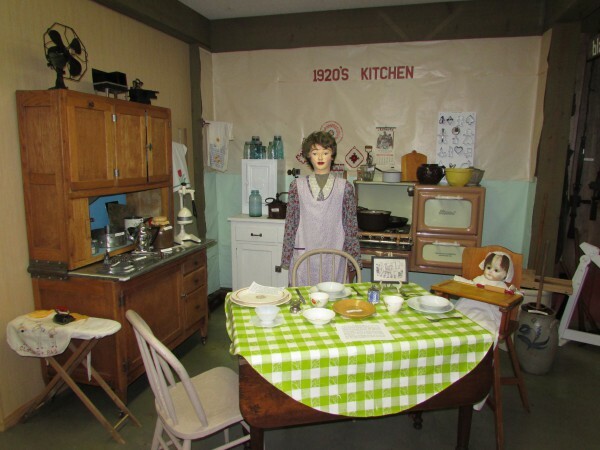 It was donated by Albert’s niece Margaret Greene Kennedy in 1969 and it was dismantled and moved to the new Museum lot in 1973 and rebuilt. 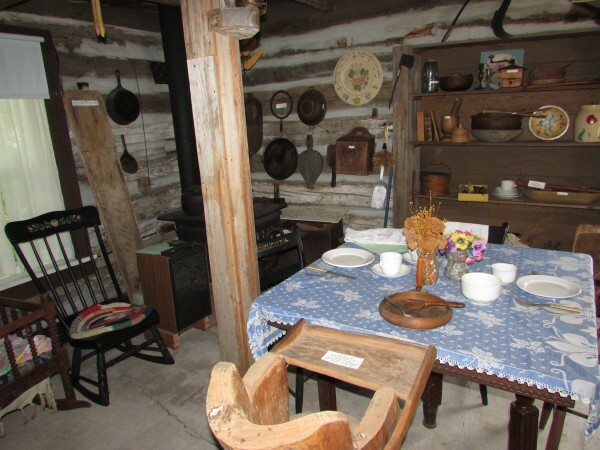 The high chair was carved from a large log! Bed in one corner, a loft upstairs for the other kids. 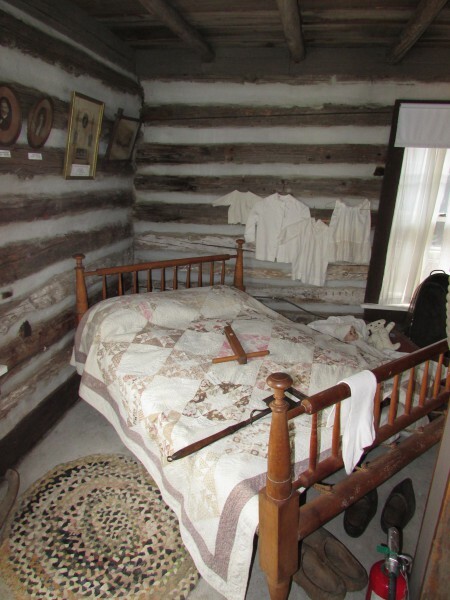 There were 11 people living in this cabin before the Skare family moved into a larger house in 1887 200 feet from this cabin. One more building left to see behind us, The Annex. 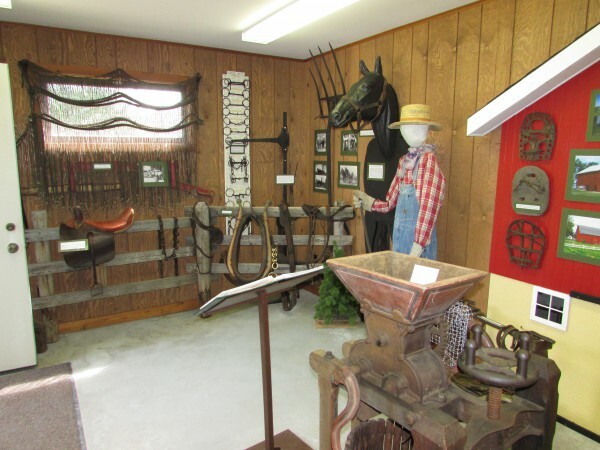 This building houses the agriculture exhibits. This pretty much wraps up our tour of the McFarland Museum. We were surprised McFarland has so to see and do. 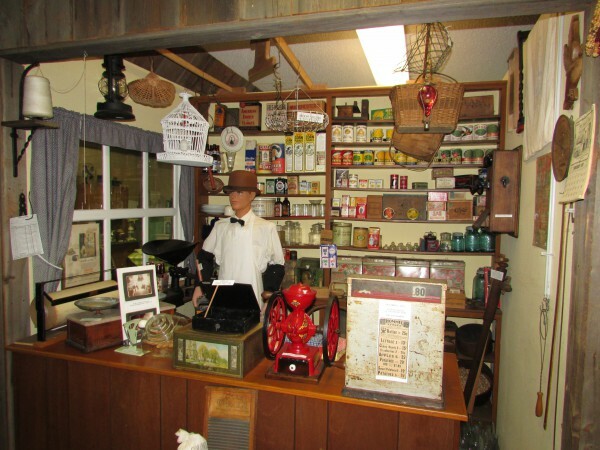 Get off the beaten path of the “new downtown” and visit the old downtown of McFarland. 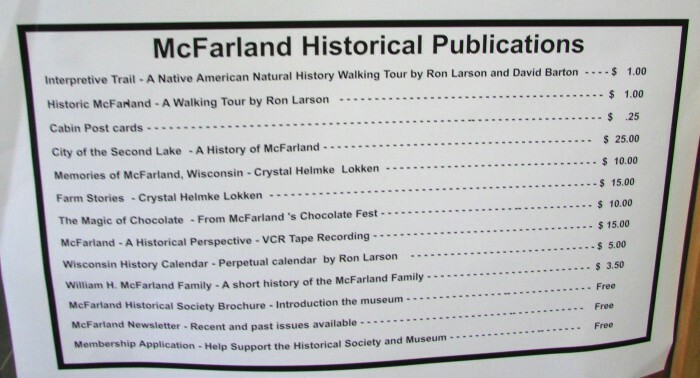 The had some items or sale as well, I got the Historic Mcfarland Walking tour booklet to easily find the other points of interest. 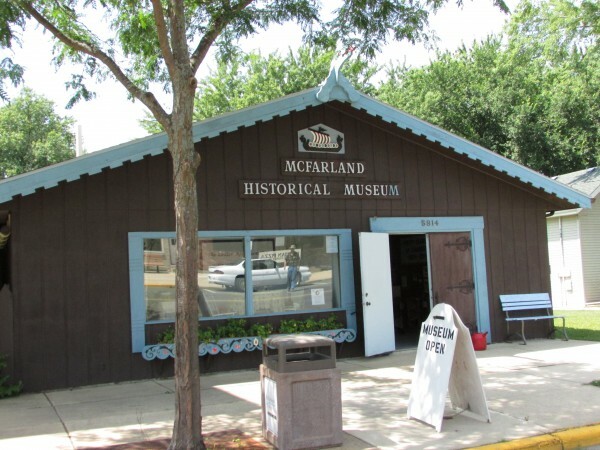 McFarland is worth a closer look, we are sure glad we did! 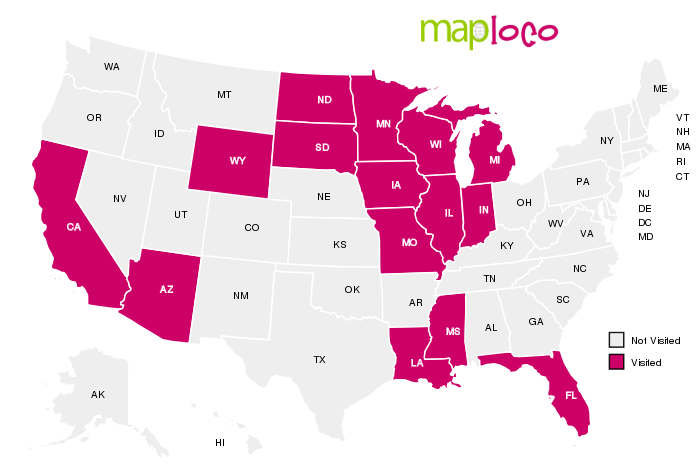 ← State Street – Madison’s Great Street!